Understanding which customer experiences and touchpoints are driving the best results can be hard. Adobe can help. 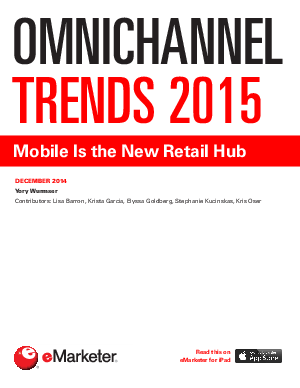 The new eMarketer report, Omnichannel Trends 2015: Mobile is the New Retail Hub, exposes the importance of utilizing omnichannel (cross-channel) marketing to effectively reach, engage, and convert your customers.